What Is TMJ (Temporomandibular Joint) Dysfunction? Commonly experienced by adults, as well as by some children, temporomandibular joint dysfunction is a condition that affects the teeth, jaws, ears, and head and neck muscles. A simplistic explanation of TMJ disorder is that it causes the patient to grind their teeth, typically while sleeping or experiencing periods of stress. The persistent grinding and teeth clenching can contribute to chronic head and neck pain and wearing down of the surface of teeth. Patients who believe they are experiencing signs or symptoms of TMJ dysfunction should see Dr. Owens to discuss the TMJ disorder treatment options available from his Destrehan dental office in order to determine what their next step should be. The symptoms associated with TMJ dysfunction are not only bothersome, but they can also damage a patient's teeth beyond repair. Some patients may even find that the head and neck pain caused by TMJ dysfunction to be so severe that it is disruptive to their normal, daily function. Several treatment options are available, but your dentist must first determine the root cause of the problem. To do so, Dr. Owens will complete a thorough examination of the head and neck, including the muscles, teeth, and jaws. A patient's dental and medical history will also be taken into account to ensure proper diagnosis. 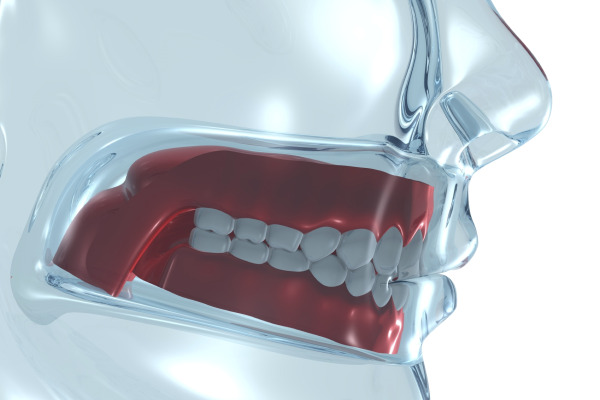 In many instances, the use of a digital (CAD/CAM) TMJ appliance or splint can alleviate the symptoms associated with this condition. This device is highly effective at treating the discomfort that comes with TMJ dysfunction and has received industry recognition as a viable option for patients with a TMJ disorder. The digital splint is used to reduce the pressure on the joint in the jaw, which in turn alleviates the symptoms associated with this condition. In particular, the digital splint reduces the pain associated with TMJ, while also minimizing the frequency of clenching and grinding incidents. This device offers protection from bruxing and wear to help maintain the space between the nose and chin, to help maintain an attractive facial profile. Patients who have arthritis and fibromyalgia have also received some relief for their TMJ through digital splint therapy. Dr. Owens also offers a protective device that can help maintain space between the nose and chin, maintaining an attractive facial profile. Patients who have arthritis or fibromyalgia have also received some relief through digital splint therapy. What Are Some of the Problems That Can Occur If TMJ Dysfunction Is Left Untreated? If you have any questions about TMJ dysfunction or would like to schedule a consultation with Dr. Owens, please contact our Destrehan dental office or schedule an appointment online today.